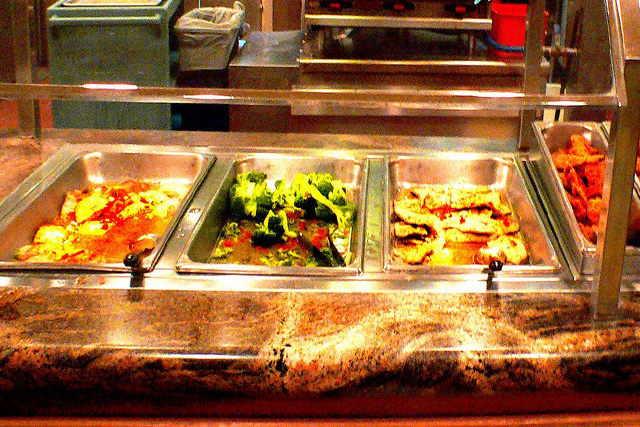 Just off the Las Vegas Strip at the Gold Coast Casino, you can enjoy an excellent bargain buffet at the Gold Coast Ports O' Call Buffet. 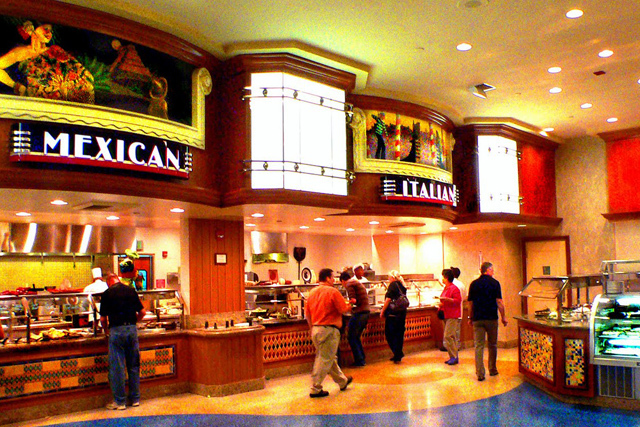 This is not only less expensive than many of the buffets on the Strip, but it also has plenty of options that you are sure to enjoy without long lines and crowded seating. Gold Coast Ports O' Call is open for breakfast, lunch, and dinner. Known for their comfort foods they serve all of the traditional favorites plus many International options that their regulars know and love. Some things you can expect to see include potstickers, beef fajitas, and a delicious looking carving station that serves up full rotisserie chickens. Make sure not to miss Fridays, which is all you can eat steak and all you can eat seafood night. With the right atmosphere and an even better price, Friday night is definitely the time to visit Gold Coast Ports O' Call Buffet.